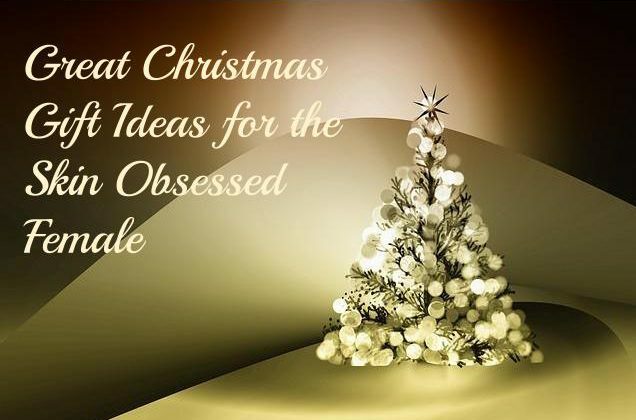 If you’re looking for some great Christmas gift ideas for women then hopefully the following list will give you some inspiration especially if she’s obsessed with all things skincare related. With that time of year quickly approaching once again, it’s not always easy to find unique gifts for her especially when you’re stuck in the “but I’ve bought her everything” zone. Below are a few ideas that will brighten up her Christmas morning and hopefully put you in her good books, as long as she’s into skincare that is, otherwise she may take offence and think you’re trying to tell her something :). 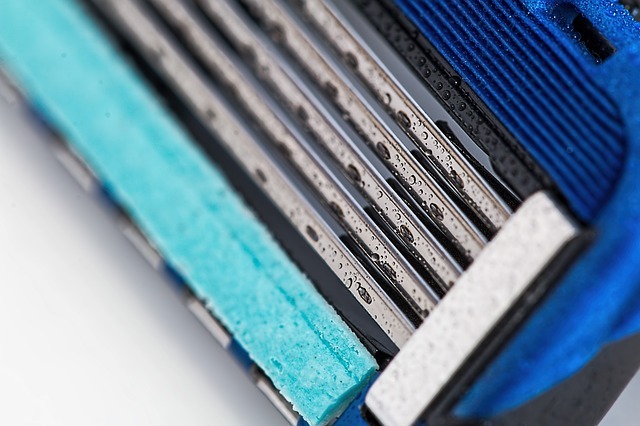 The list includes a variety of choices that cater for most budgets and the best thing about them is that most of them can be found on Amazon. The jade roller is a cool little device that is rolled across the skin to help tighten and tone the facial muscles, bring down puffiness, improve lymphatic drainage, help smooth out fine lines and wrinkles, the list goes on. 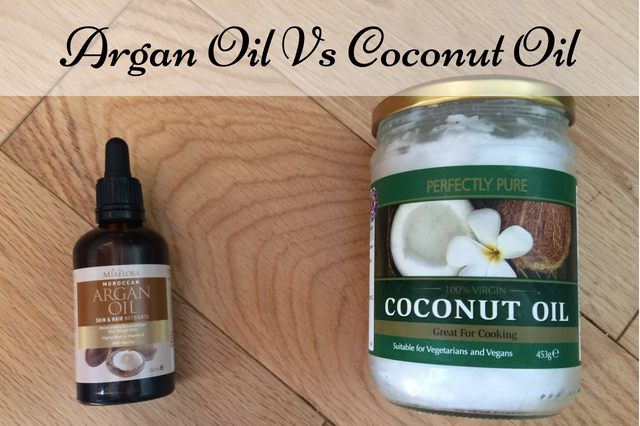 It’s extremely quick and easy to use and makes a great addition to any women’s skin care routine especially those who enjoy a bit of pampering. The jade roller makes a great gift not only because of its skin benefits but also because of its pretty appearance and us girls, we do have a tendency to like pretty things. 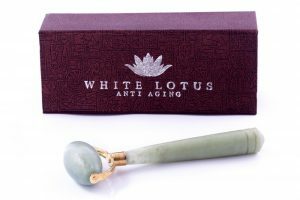 There’s something rather exotic and luxurious about it and the fact that many of them come in a gift box like the White Lotus Jade Roller, makes them a great gift idea for any skin obsessed female. 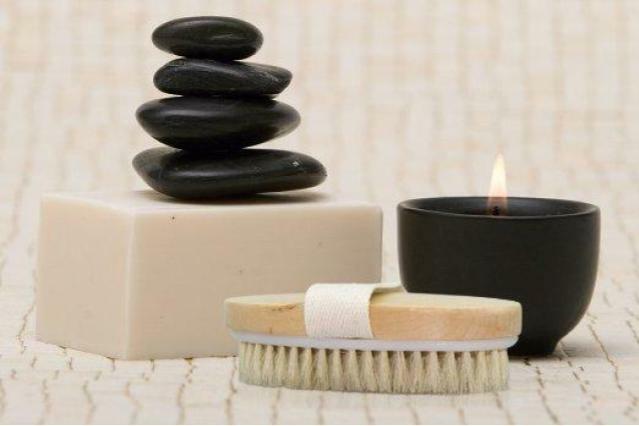 Dry body brushing is an excellent way to help keep skin in great condition from exfoliating to improving lymphatic drainage. 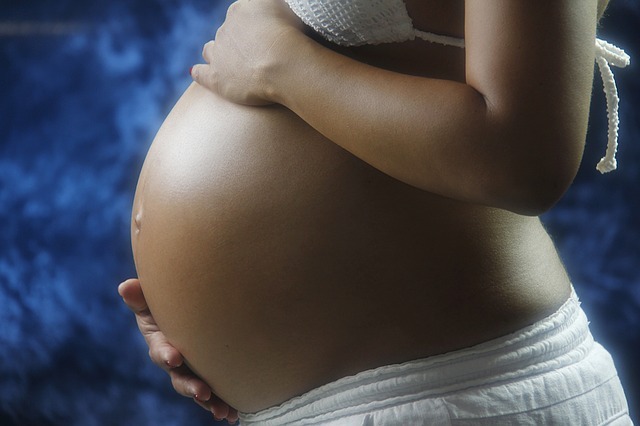 The benefits of dry body brushing include better skin appearance, reduction in the appearance of cellulite, improved circulation, softer glowing skin and tighter and smoother looking skin. There are loads to choose from and many come with little extras like the Zen Me Dry Body Brush which also comes with a free exfoliating glove. There are also dry brushes for the face or even better, you can get complete kits that contain both. These can also be purchased in gift boxes and often come with storage pouches or how to videos. They’re also a great gift idea if you’re on a tight budget because they cost very little to buy which makes them a great little affordable skin care accessory. Who doesn’t love a good sauna session for unclogging those pores and removing those impurities and who wouldn’t love to be able to do it in the comfort of their own home. O.k, so buying her one of those actual sauna booths is probably going to break the bank but you could always go halfway there with a facial sauna. 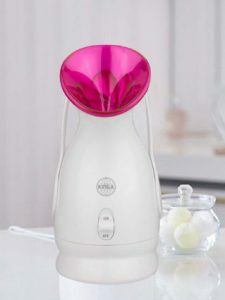 These portable facial saunas are easy to use and relatively affordable like the Kinga Nano Facial Steamer which makes them a great gift idea for almost anyone. 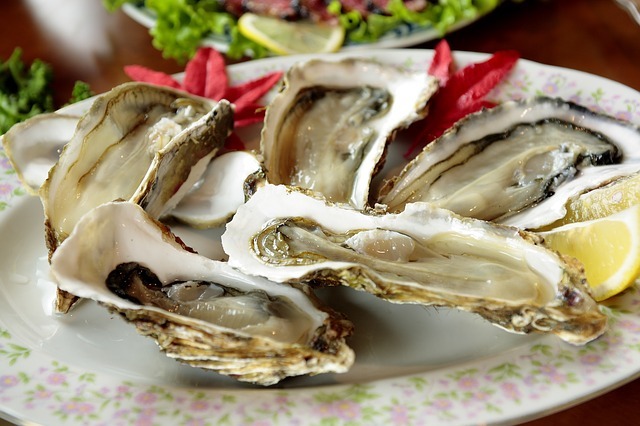 Not only do they look pretty cool and have skin refreshing benefits but they also provide some relaxing and stress-free downtime and any gift that offers that will be a winner as far as us women are concerned. She may have every skin care cream known to man but there’s something about getting a whole box filled with a variety of different products that brings out the ooh factor in most of us especially if we’ve never tried them before. And if there happens to be one in there that turns out to be the miracle of all creams then it really will be one of the best gifts you could have given her. 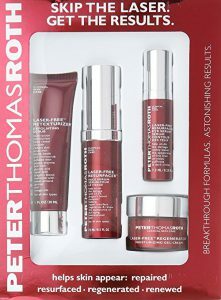 There are plenty out there to choose from like the Peter Thomas Roth 4 Piece Laser-Free Resurfacing Kit which contains a retexturizer exfoliating scrub, a resurfacing face serum, a resurfacing eye serum and a regenerator moisturising gel cream. The kit comes neatly boxed together and will certainly give her a few new products to experiment with. Much like the skin care creams, a bundle of bath goodies is a great treat to receive on Christmas morning especially if it contains a good variety of different products to try out. It’s even better when these bath sets come in cool baskets or containers that can be reused for a host of other things like makeup storage (I’m sure I’m not the only one who’s ever done this). Some even take it to the next level like the French Vanilla Bath Gift Set where the whole set comes packaged in a wooden jewellery box complete with mirror, now that’s what I call not wasting the packaging. The set contains a nice selection of bath essentials including shower gel, bubble bath, bath salts, body spray, body lotion and bath fizzers. Sonic cleansing brushes are becoming quite the popular skin care gizmo at the moment making them a great idea for the woman who doesn’t already have one. 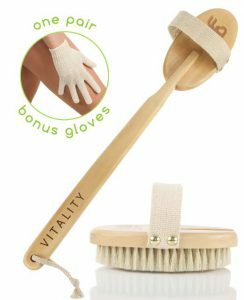 These brushes are an excellent way to get a deep thorough cleanse and quite frankly a nice massaging sensation all at the same time. 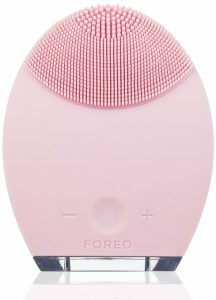 There are a few different versions out there like the Clarisonic Mia which is available in numerous models including one that even has a body attachment (click here for my full Clarisonic review) or you could go for the Foreo Luna which also has a few different choices of models and colours. Both are considered to be good choices for sonic brushes so you can’t really go wrong with either. Unless there are any underlying medical conditions that prevent her from using one, a foot spa can be an excellent gift idea for the woman who loves to be pampered. Nowadays, foot spas come with all sorts of added features and what was once a plastic bowl with warm water, has now become a full on jacuzzi for the feet with everything from built-in massagers and high-powered bubble jets to heating elements to heat the water. 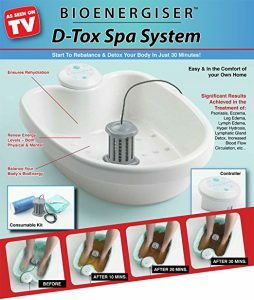 Or if you really want to go all out, you could go for a detox spa, like the Bioenergiser D-Tox Spa System which draws toxins out of the body through the feet. The quirkiest thing about it is that the water changes to different colours depending on who’s used it which means you’ll probably spend most of Christmas playing the detox spa colour game of “who’s the unhealthiest in the house” (oh dear). Even us women love a good gadget especially if that gadget is skin care related and has anti-aging benefits. Facial toning devices are one such gadget that have become quite a popular accessory lately. They are said to tone, lift and rejuvenate the skin by using electronic muscle stimulation that is also said to help reduce the appearance of fine lines and wrinkles. 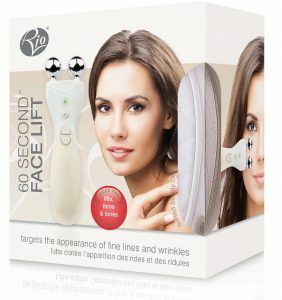 One such device is the Rio 60 Second Face Lift Facial Toner (I know, the 6 seconds abs springs to mind) which is said to help tone and lift all areas of the face and neck. It also comes with collagen and retinol patches which are an added bonus. These devices also have a unique and intriguing look to them and I think they’d bring out the “wow, what does this do” reaction in most women. 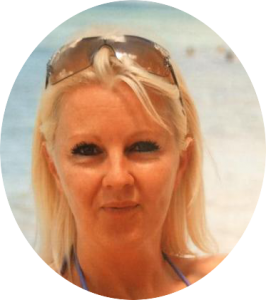 Most women love to be pampered so any gift that can help them relax and feel like they’re in their favourite spa would be truly appreciated as we all need that bit of me time. The festive time of year is all about recovery and rest to get ready for the new year and as long as your gift is thoughtful you’re guaranteed a smile. Please feel free to leave a comment if you try any of these and let me know if it made her day.